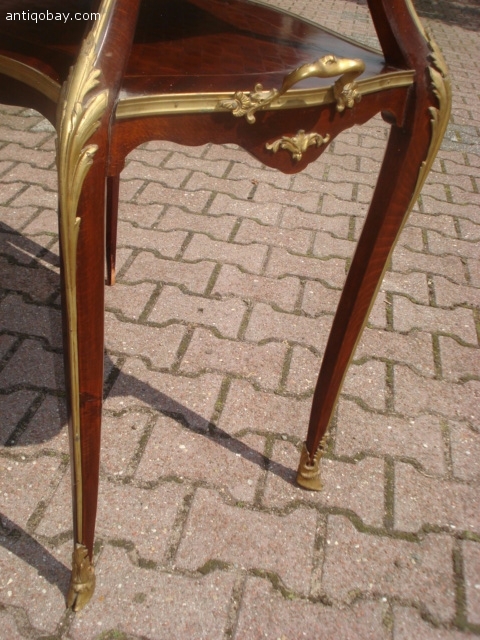 Elegant, well figured tea table with bronze decorations. 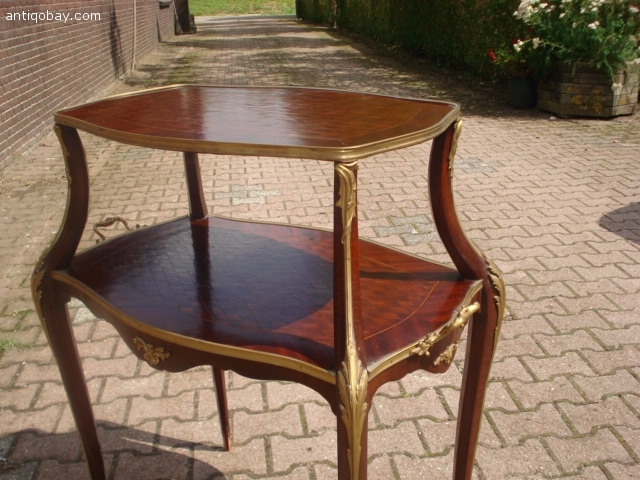 The beautiful tea table is made in 1900s, in French Louis XVI style. 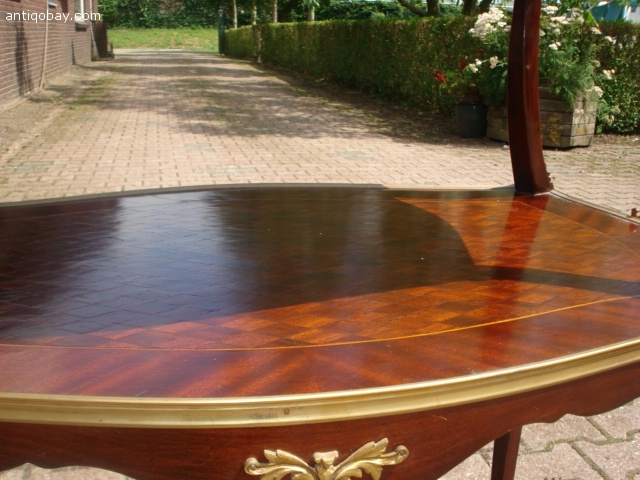 The whole table has good original and condition. 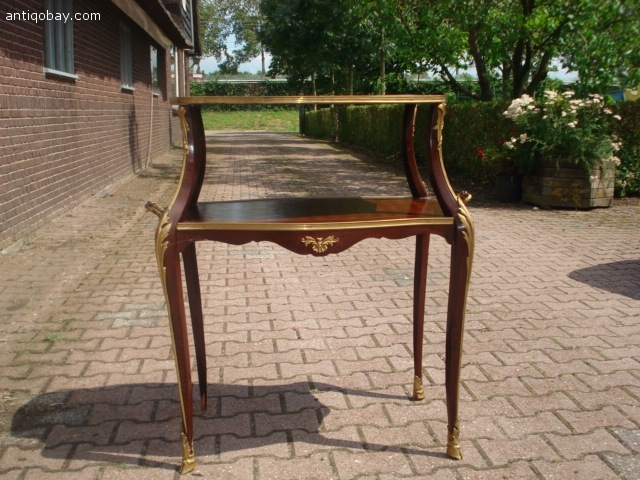 Its brown, with bronze decorative details on the side. 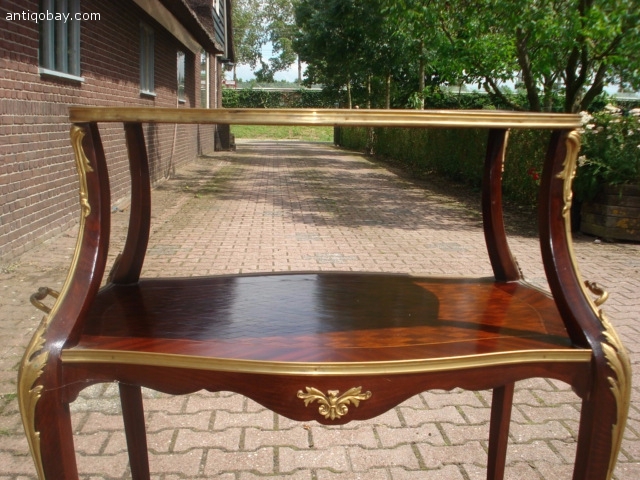 The table is on the two floors, has two stands, lovely example presented in stunning condition and displaying quality throughout. A four pod base leg design, complete with bronze details, raises info a finely turned center column with twisted reeding to the baluster. 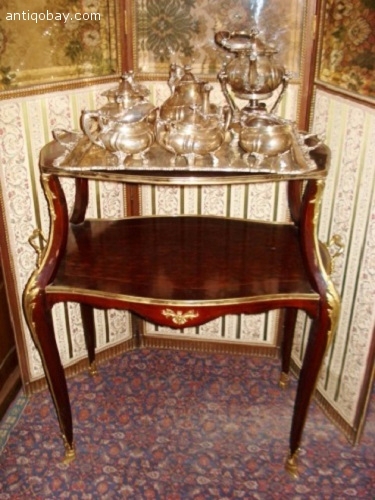 This piece offers great scope for a verity of users and would made wonderful occasional or display table, tea table, desert table, and serves wonderful as a dumb waiter in the capacity of the server buffet tea presentation item. 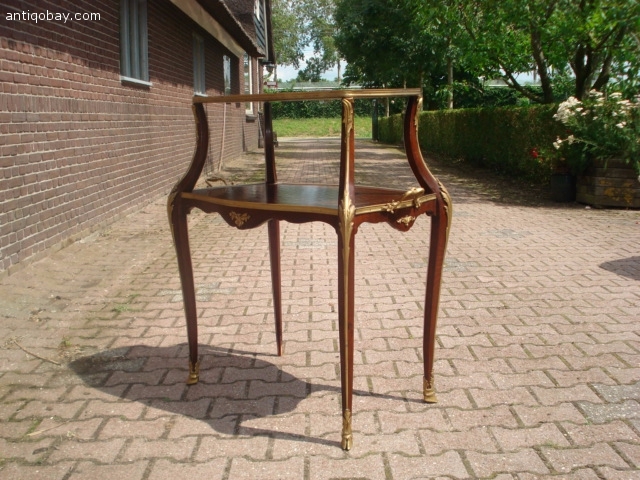 I bought this elegant piece in South France from beautiful, deluxe and big home. 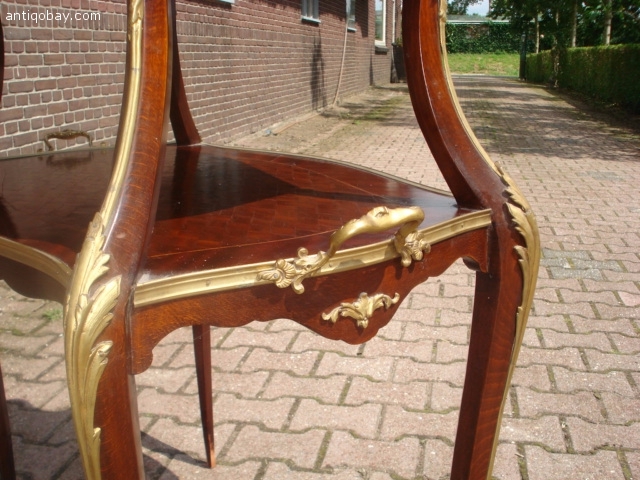 Condition: Overall this piece of furniture is in superb, with great depth of color displaying the rick deep fruit tones. Shipping: Worldwide shipping, please send us email to know about the shipping quotes. Please do not hesitate to contact us of you require further information's - we are here to help.